Dawn from Sharp Edge, Blencathra. I keep being told to sit back and take a wee break of late by friends and family who’ve noticed I’m becoming rather forgetful and getting into slight mishaps with day to day living and my work. 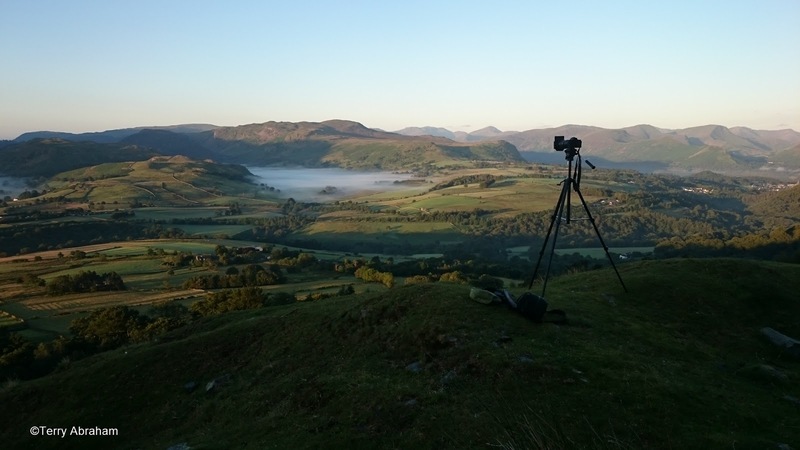 The past couple of months or so has been physically and mentally demanding as I’ve juggled ‘bread and butter’ work coupled with filming Blencathra and a new DVD with David Powell-Thompson. Summer can be a busy time for me I have to admit and things don’t quieten down until around October but I’ve no choice but to keep focused and plod on with the jobs in hand. Much of this was brought home to me on many levels just last week while in the Lake District. 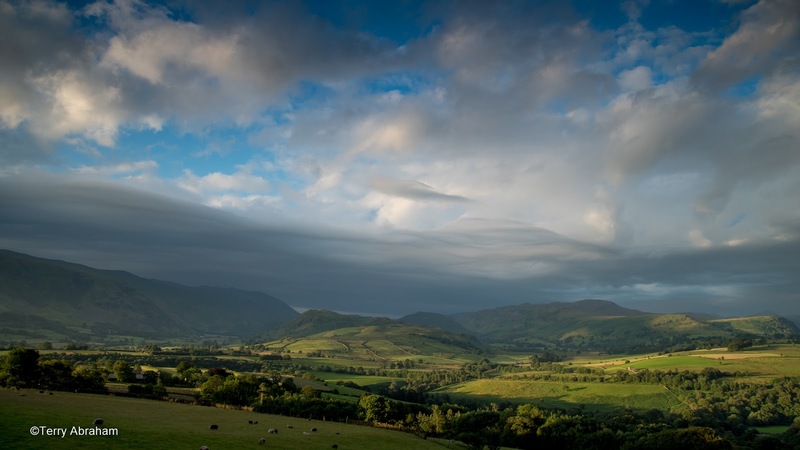 With wonderful help and support from Tim Foster and his team at the Blencathra Field Centre, they kindly put me up for several nights to use their facilities as a base while I headed out and about the area filming for my next documentary featuring ‘ole Saddleback’. The weather was overall unsettled but in a roundabout way that’s just how I like it! Such conditions can be challenging of course but it does afford the most dramatic scenes of the fells on camera. It can be testing at times but I thrive on what the weather can throw at me. And it was while the rains poured and the clouds danced about the fells that I became acutely aware I’m getting close to being burnt out. Last Thursday I packed all my camping, filming and drone gear to spend a night out on Atkinson Pike. Normally the walk would take me approximately 2 hours but given I had to lug up my ‘raven’ to capture aerial scenes, progress was very slow indeed. 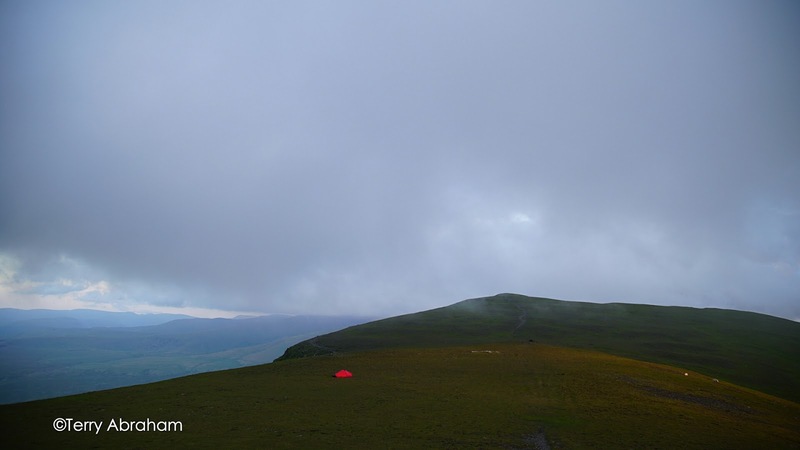 By the time I set up camp I was utterly exhausted but set about wandering the summit with my cameras. Happy enough with some of the shots I got, I retreated back to my tent to enjoy some late afternoon dinner only to discover I forgot to pack my stove and my food too! I was absolutely livid and my morale plummeted. I very nearly packed up and headed back down to the field centre but after some contemplation and noting I had a couple of muesli bars for sustenance I figured “What the hell!”. And I’m pleased I did. You can see some of the end results below in pictures and video. But it goes to show that exhaustion and a lack of confidence had affected me in such a way that I couldn’t be arsed to spend one night out on the mountain knowing I was little more than 2-3 hours away from home comforts. It sounds like I’m getting soft! I’m not of course but it can be hard at such times to mentally deal with any such sense of well-being. 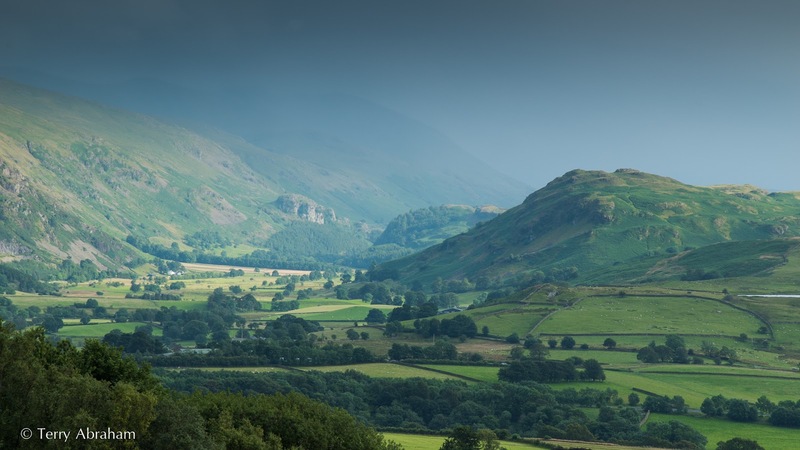 This summer hasn’t been the best in recent years and I have to say up on the tops in Lakeland it feels very autumnal. I woke in the night shivering for example because my summer down bag wasn’t adequate but pulling on my down jacket compensated to a degree. It was all worth it though! 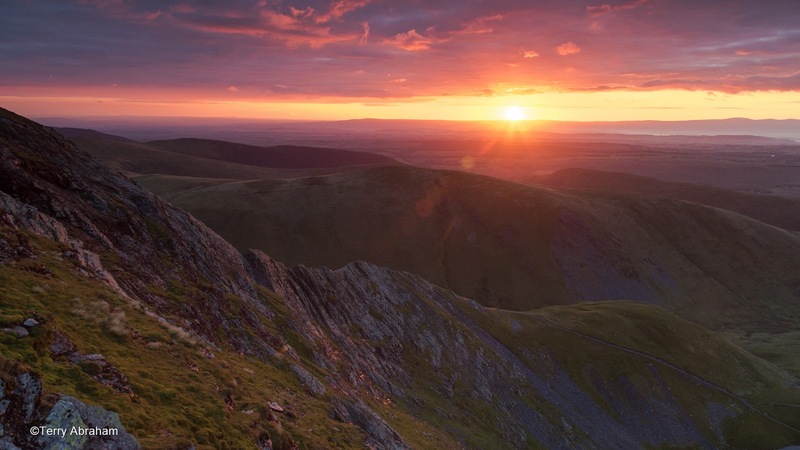 Following the weather forecasts and my instinct I was certain come Friday morning I’d get to enjoy a spectacular dawn from the summit of Blencathra. The thought of missing out if I had retreated back to the field centre would’ve bugged me for weeks. Lesson learnt. Never give up up no matter how low one can feel at times. There’s always the light of a golden sun creeping over the horizon to bring in a new day…. Incoming rains in St John’s in the Vale. 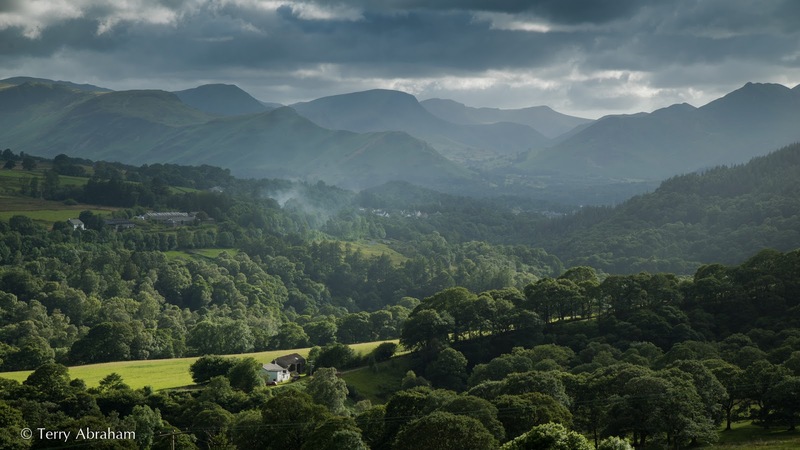 A break in the storms looking to Keswick. 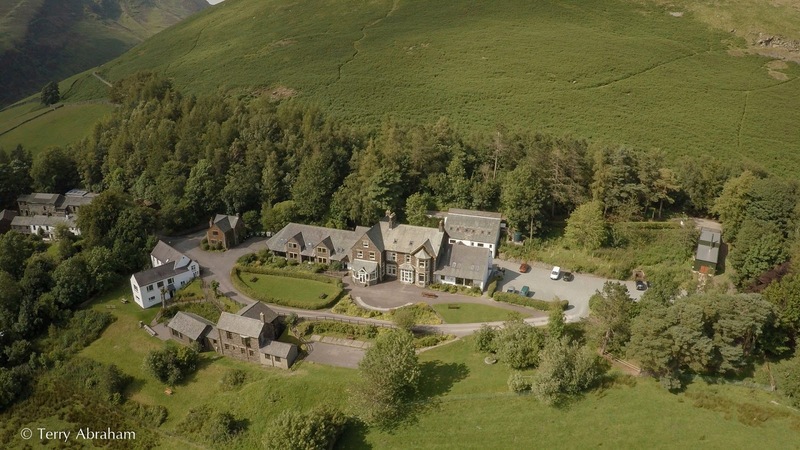 Aerial view of Blencathra Field Centre. Dawn light on Bleaberry Fell and Castlerigg. 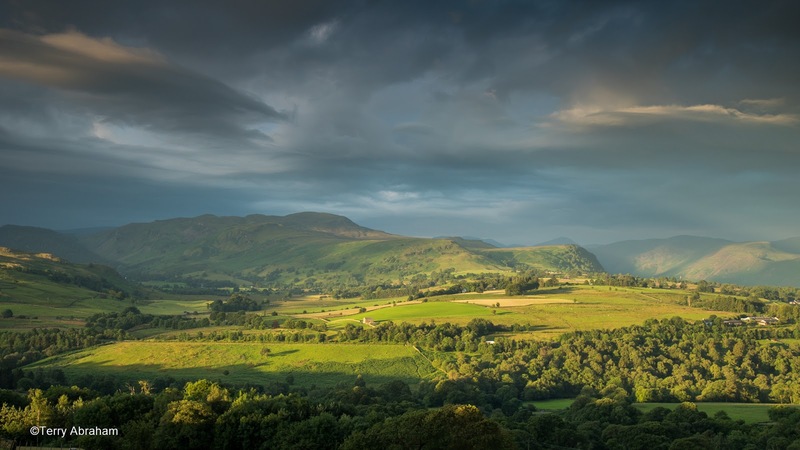 Incoming storm as seen from the Blencathra Field Centre. 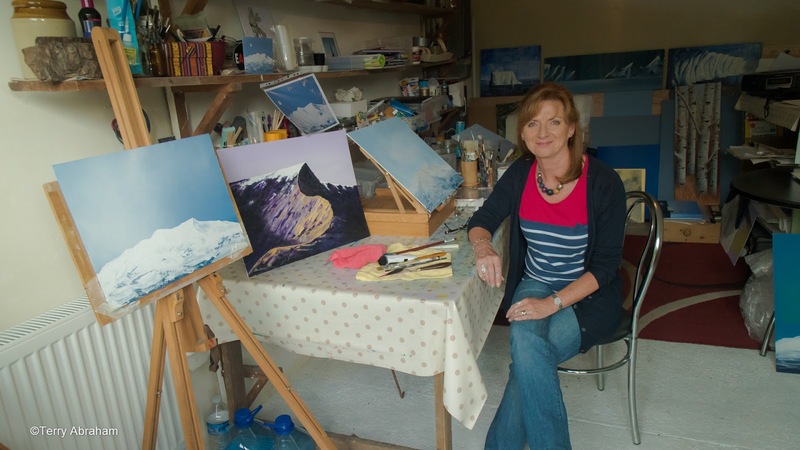 Lakeland painter Sue Foster in her studio. 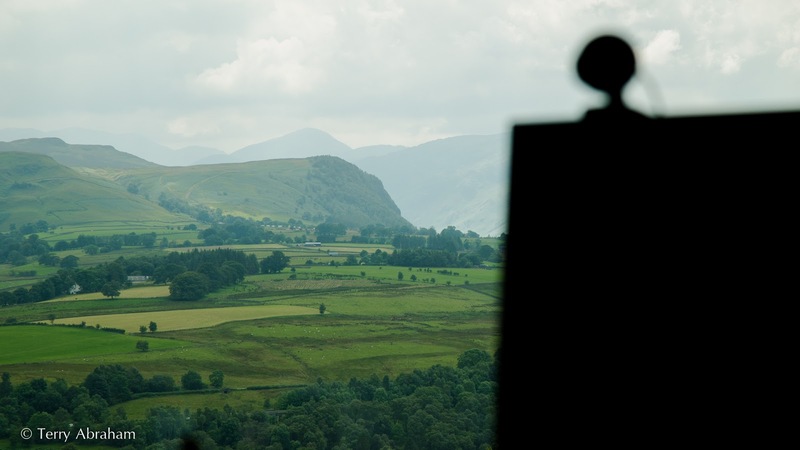 Sue features in my Blencathra documentary. 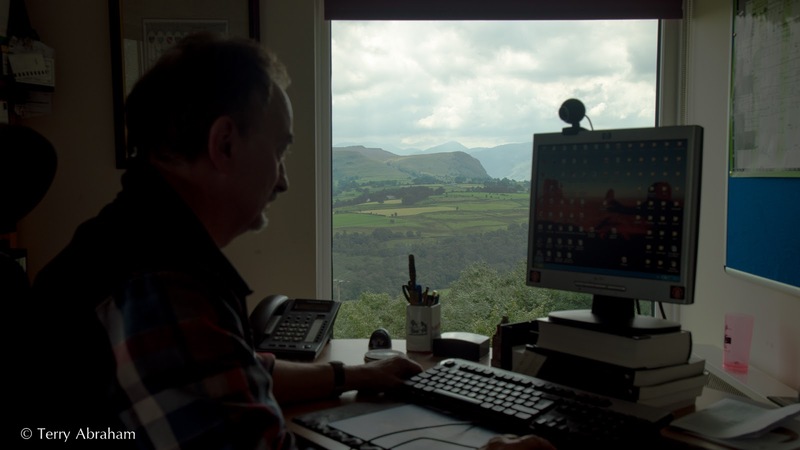 Tim from the Blencathra Field Centre at work in his office. That view again from Tim’s office! Camp on Atkinson Pike with the Hilleberg Enan. 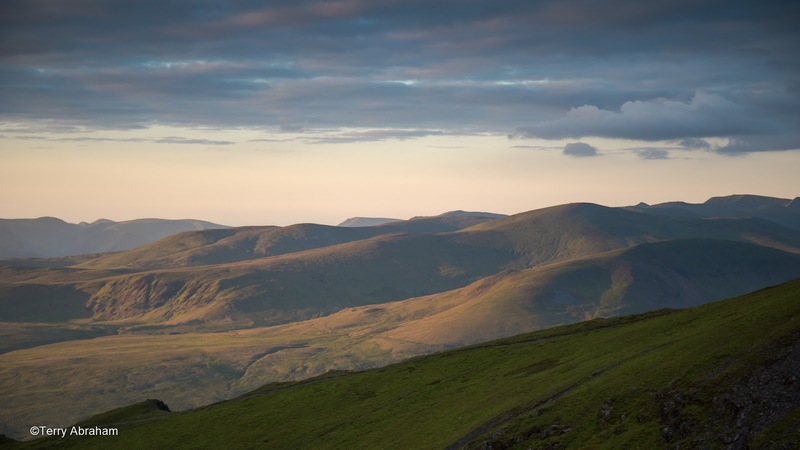 Eastern Fell at dawn as seen from Atkinson Pike, Blencathra. 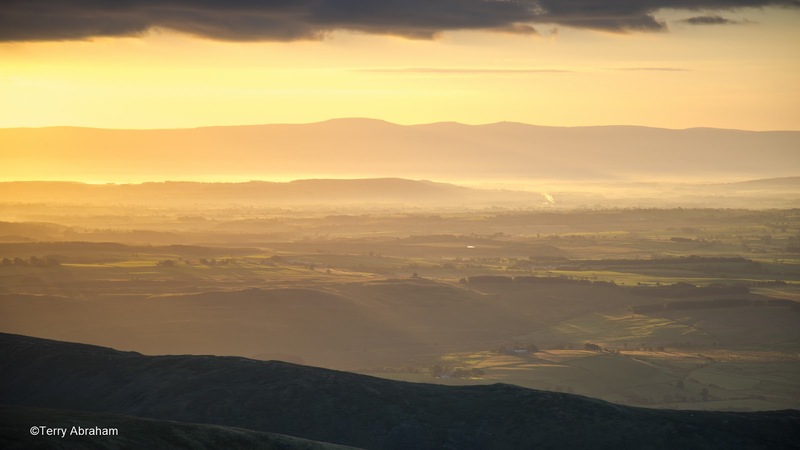 The Eden Valley at dawn as seen from Blencathra. 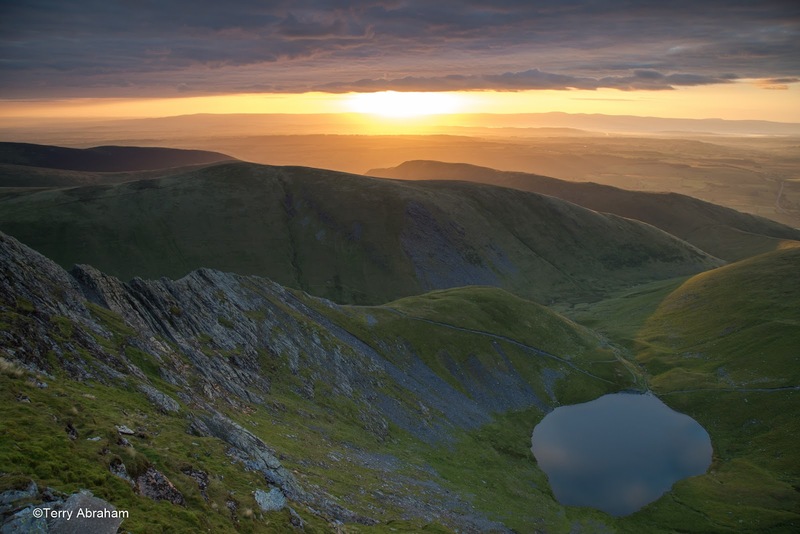 Sharp Edge, Scales Tarn at dawn from Atkinson Pike. 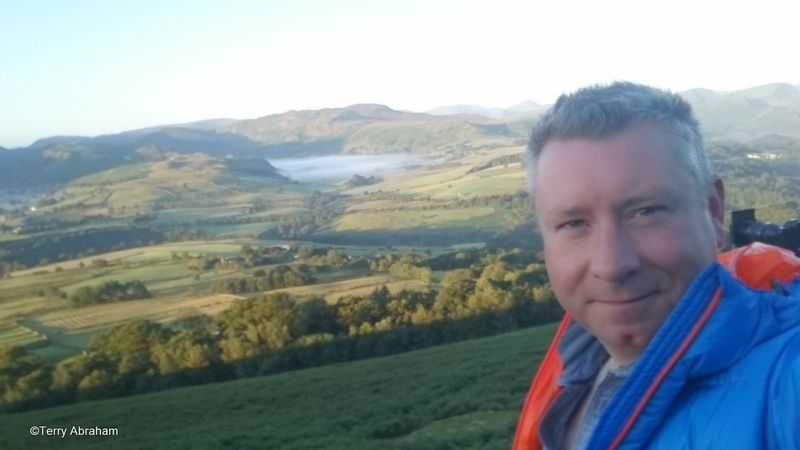 Yours truly at work on the flanks of Blease Fell, Blencathra. A rare thing! A selfie with me including bedhead! I headed out the door at 5am. 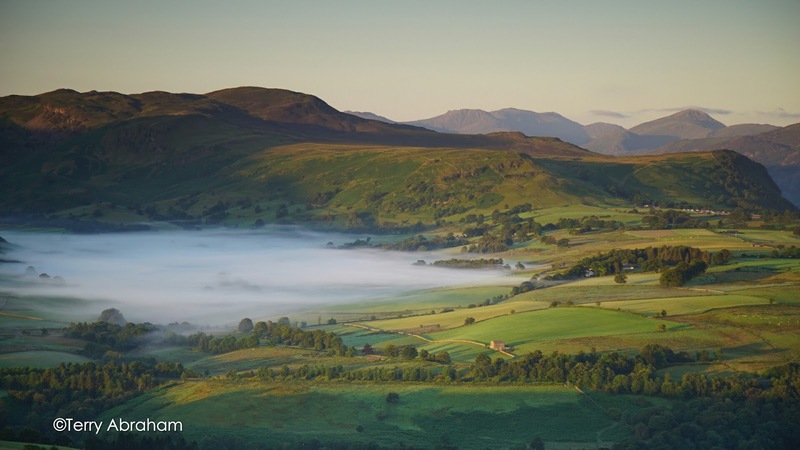 Early dawn mists below Bleaberry Fell. 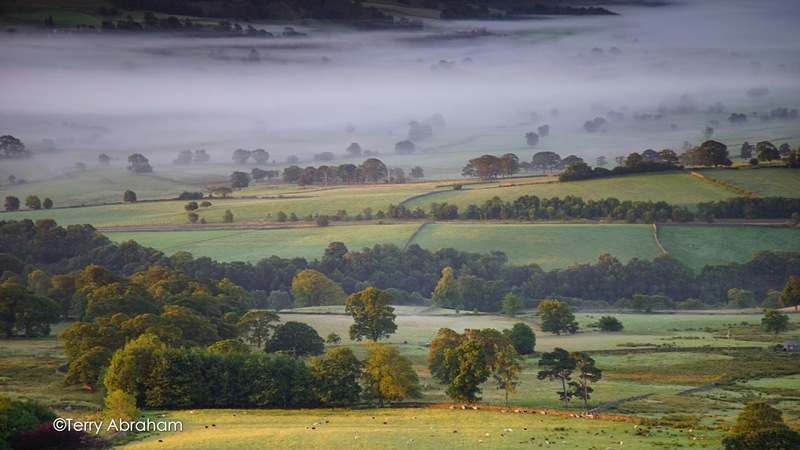 Early dawn mists again in St John’s in the Vale.